Israeli occupation forces (IOF) raided southern Gaza Strip on Sunday night under heavy firing of smoke bombs. Local sources told the PIC reporter that IOF soldiers escorted four military bulldozers into eastern Khan Younis and leveled land near Qarara town. 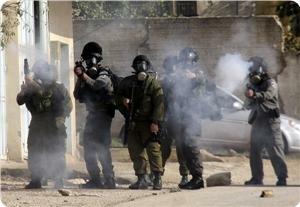 They said that the soldiers fired smoke bombs before and during the incursion. Israeli forces kept gates surrounding a West Bank village near Ramallah shut for the second day in a row on Sunday, locals told Ma'an. Locals said Israeli forces blocked roads and deployed dozens of soldiers in Nabi Saleh on Sunday, a day after the village was declared a "closed military zone." Soldiers also fired tear gas and stun grenades in the village, making it even more difficult for people to leave the village, witnesses added. Israeli forces surrounded the village and declared it a "closed military zone" on Saturday, subsequently injuring two Palestinian civilians, a local group said. The attack by Israeli forces came a day after Israeli forces detained five -- including two Palestinian women and three foreign journalists -- and lightly injured a French journalist during a protest in the village, which has held weekly protests for four years against Israeli confiscation of village lands. Soldiers arrived "suddenly" on Saturday to close the village entrances and then targeted locals nearby, shooting a young man with a live bullet and injuring a 45-year-old woman after beating her, local popular resistance group "Intifada" said in a statement. The woman was identified as Wijdan al-Tamimi, while the injured young man was not identified. 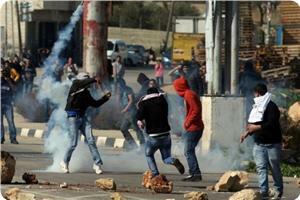 "Intifada" said that the attack was part of an escalation in military violence against the village in recent months. An Israeli military spokeswoman said that "as a result of a violent riot" on Saturday afternoon, "one of the two gates of Nabi Saleh was temporarily closed." Israeli occupation forces (IOF) raided Aida refugee camp, north of Bethlehem, afternoon Sunday amidst heavy firing of teargas canisters. Eyewitnesses told the PIC reporter that IOF soldiers stormed the camp and fired teargas bombs at citizens’ homes leading to suffocation cases among inhabitants. IOF soldiers are still roaming streets of the camp amidst confrontations with young men. A Palestinian worker was left wounded on Sunday after being fired at by Israeli Occupation Forces (IOF) north of the Gaza Strip. Meanwhile, a Palestinian child was seriously injured following the explosion of an unknown object west of Khan Younis south of the Gaza Strip. 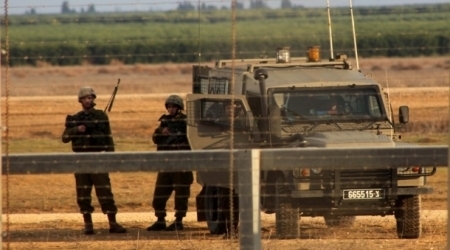 According to local SAFA News Agency, a Palestinian worker was left wounded after IOF opened fire at a number of workers near Beit Hanoun crossing north of the Gaza Strip. Gravel workers have long been targeted by IOF. Dozens were either killed or injured during the past years. In the other incident, a Palestinian child had his left hand amputated in the explosion of an unknown object west of Khan Younis. Ministry of Health spokesman in Gaza Ashraf Al-Qudra said on his Facebook page that Tareq Abu Hamda, 10, was severely wounded due to the explosion. The child’s body was subject to shrapnel wounds while his left hand was amputated. According to the spokesperson, medical staff in Nasser health center is still striving to ensure the child a stable physical condition. In a related context, Israeli military vehicles opened indiscriminate fire at Gaza border areas at dawn Sunday, targeting citizens’ lands and homes, Palestinian security sources told a PIC news reporter. The IOF had detonated an explosive device near Khan Younis borders while many shots have been heard in several border areas. A 10-year-old child sustained severe injuries as a result of the explosion of a "suspicious object" in a neighborhood west of Khan Younis in the southern Gaza Strip Sunday morning. 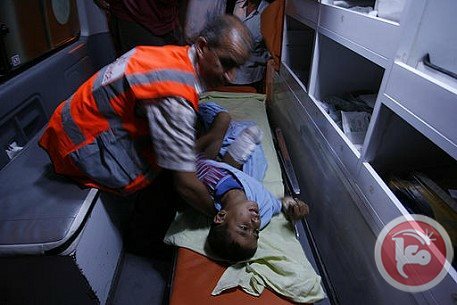 Ashraf al-Qidrah, a spokesman for the health ministry in the Gaza Strip, identified the injured child as Tariq Abu Hamda. He added that the boy suffered from shrapnel wounds all over his body, and his left hand had to be amputated at the Nasser Medical Center. The circumstances of the explosion were not immediately clear. They said the Israeli soldiers joined the Israeli settlers and beat al-Haj Mufid, 48 and his brother Zidan,44, causing them suffer bruises and contusions. Israeli forces stormed the Al-Aqsa Mosque compound on Sunday morning, attacking worshipers with stun grenades and rubber-coated steel bullets, as Muslim worshipers braced for raids by right-wing Jewish groups as Passover approaches. Director of Al-Aqsa Mosque Sheikh Omar al-Kiswani told Ma'an that more than 50 Israeli "special forces" stormed the compound through the Moroccan Gate and the Chain Gate during the raid. Al-Kiswani added that Israeli forces "besieged" Muslim worshipers with rubber-coated bullets and stun grenades, and closed the Chain Gate with chains. One of the Al-Aqsa compound security guards was struck by a rubber-coated bullet during the raid, and he was identified as Amjad al-Alami. In addition, five worshipers were hurt by pepper spray used by Israeli officers during the assault. Witnesses told Ma'an that Israeli forces had arrived in the early morning and stationed themselves near the Moroccan gate watching the movement of all worshipers inside the compound. The soldiers also denied right-wing Israeli groups access to the compound. Israeli police officers stationed at all of the gates of the compound "strictly inspected" all Muslims who attempted to access the compound, witnesses said. Many young men were denied entry while the identity cards of others, including elderly men and women, were taken before they were allowed to enter the compound. Eyewitnesses said a young Palestinian man was detained inside the compound and another one was assaulted by Israeli officers. Israeli police spokesman Micky Rosenfeld said in a statement that "stones" had been thrown at police at the Moroccan Gate, and as a result "units" had entered the area in order to "disperse Arab rioters." "Two police officers injured lightly during riots," he added, noting that they were "being treated at the scene." Dozens of Muslims had spent the night in the compound in anticipation of raids by right-wing Jewish groups, who they expect to enter the compound on the occasion of Passover. Prominent Israeli right-wing organizations have urged Jews to flock to Al-Aqsa Mosque during Passover in what many worshipers consider a provocation. Two Palestinian young men were wounded on Saturday night in Aida refugee camp, north of Bethlehem, at the hands of Israeli occupation forces (IOF). The PIC reporter said that one of the young men was hit with a live bullet in his foot while the second was injured with shrapnel, adding that dozens were treated for breathing difficulty after IOF soldiers showered homes in the camp with teargas canisters. 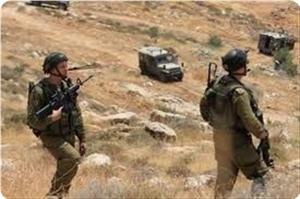 IOF soldiers daily raid the camp in a bid to quell any possible resistance, according to local sources. Meanwhile, IOF patrols stormed Asaker village to the east of Bethlehem and detained a number of young men at the pretext of scrutinizing their IDs. 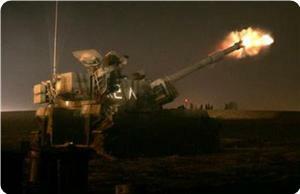 The Israeli artillery bombed on Saturday evening the eastern outskirts of Qarara district, south of the Gaza Strip, after hearing a loud explosion in the area, with no reported causalities. Local sources told the Palestinian information center (PIC) that the Israeli artillery fired, amid intensive gunfire, one projectile at least at Wadi area in Qarara district. The Israeli shelling happened shortly after a resounding blast was reportedly heard near Kissufim military post to the east of the security fence. 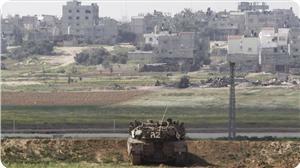 Israeli military reinforcements were also seen storming the explosion area, amid gunfire. It is believed that the explosion occurred when an explosive device planted earlier by the Palestinian resistance detonated near the perimeter fence. A Palestinian man was shot by Israeli forces near Erez crossing in the northern Gaza Strip Sunday morning, Palestinian medical and security sources told Ma'an. Israeli soldiers opened fire at Palestinian workers collecting small stones from fields near the border, injuring one in the foot. Many people in the besieged coastal enclave collect small stones in order to make gravel for concrete, because the import of concrete is forbidden by the Israeli economic blockade. The blockade has been in force since 2006. 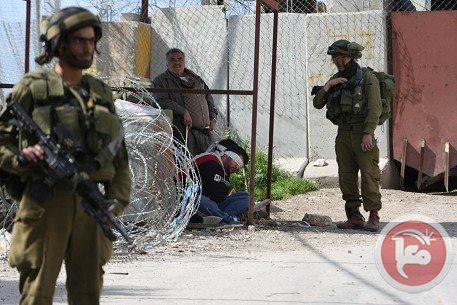 Israeli soldiers closed all entrances of the Nabi Saleh village, near the central West Bank city of Ramallah, and declared the village a closed military zone; a young Palestinian man was shot by a live round, while a woman suffered fractures after being assaulted by the soldiers. The Popular Committee against the Wall and Settlements in Nabi Saleh has reported that the army declared the village a closed military zone until further notice, and placed concrete blocks closing its main entrances, and closed the iron gates of the Annexation Wall surrounding the village. 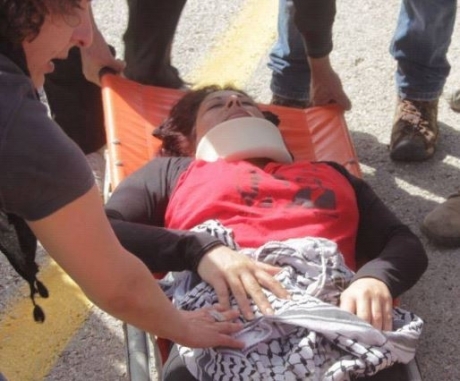 The Committee added that the soldiers targeted a number of Palestinians wounding a young man, and that a woman, identified as Wijdan Tamimi, 45 years of age, suffered fractures and bruises after a number of soldiers assaulted her. Several Palestinian cars were damaged after the soldiers fired concussion grenades at them. The village is frequently attacked by the Israeli army for its ongoing resistance against the Annexation Wall and illegal settlements, while the army has escalated its assaults over the last few weeks. However, the villagers, accompanied by Israeli and International peace activists, are determined to continue the struggle. The Committee said that the popular, nonviolent, struggle against the occupation, the apartheid wall and settlements has managed to achieve international recognition, including by AMNESTY, various UN facilities and different countries around the world. It called on the Palestinian people, Palestinian factions and institutions to coordinate their activities, and to continue the struggle, to counter the ongoing and escalating Israeli violations and crimes against the Palestinian people and their lands, including Israel’s illegitimate settlement construction and expansion activities. Israeli occupation Forces (IOF) attacked Wijdan Tamimi, a 48-year-old Palestinian lady, while another Palestinian boy, in his twenties, was left seriously injured. The boy was shot by live ammunition at close range during the confrontations that broke out in Nabi Salah village, northwest of Ramallah city, on Saturday. According to the eye-witnesses, Tamimi was brutally attacked by an Israeli soldier for her outspoken protest against the three-hour-arbitrary detention she had been subjected to, before being released then carried to hospital for treatment. As for the wounded boy, he was shot in his nose. The town’s main entrances have been shut down via iron gates by IOF as part of the control and bullying procedures the town has long been subject to due to its weekly protests against Halmish settlement built on Nabi Saleh land. Israeli forces detained a Palestinian man on Saturday evening after he tried to defend his family from a home invasion by Jewish settlers in the southern West Bank city of Hebron, a local activist group said. Mofid Sharbati, 46, was detained by Israeli forces after a group of settlers entered his home on Shuhada street in central Hebron, coordinator for Youth against Settlements Issa Amro said. His brother Zidan Sharbati was wounded during the incident, which began when Jewish settlers entered their homes and began beating the brothers as well as members of their families. When the two attempted to respond, Israeli forces who were on the scene came to the aid of settlers and continued the assault, Amro said. Israeli forces detained Mofid during the incident, while Zidan was evacuated from the scene by an ambulance and taken to Hebron Hospital, where doctors said his wounds were "moderate." An Israeli military spokeswoman did not have any information regarding the incident. Jewish settlers routinely threaten and harass local Palestinians in Hebron's Old City in an effort to force them to hand over their properties for the expansion of Jewish settlements. 500 Jewish settlers already live in the Old City, many of whom have illegally occupied Palestinian houses and forcibly removed the original inhabitants. They are protected by thousands of Israeli soldiers. The Israeli Occupation Forces (IOF) have raided at early morning hours on Saturday different neighborhoods in Jenin, where they conducted combining operations and fired sound bombs. Palestinian security sources told PIC correspondent that the Israeli forces also stormed Suweitat area and heavily deployed in the vicinity of Kadim evacuated settlement. The IOF soldiers erected on Saturday morning a checkpoint on the road linking Jenin city to Yabad village, and started searching Palestinian vehicles. On the other hand, Israeli settlers threatened Saturday morning Palestinian farmers while working in their agricultural lands in al-Khalil. Eyewitnesses told PIC correspondent that dozens of armed Israeli settlers stormed Palestinian agricultural lands in Halhul town northern al-Khalil. Israeli settlers started screaming, threatening, and terrorizing Palestinian farmers, creating a state of panic among the villagers. Large settlers groups are used to carry out, on weekends, attacks and assaults against Palestinian farmers and their properties. Meanwhile, violent clashes erupted Friday between Israeli forces and Palestinian youths at Bab al-Zawiya area in al-Khalil southern West Bank. The Israeli occupation forces, stationed at Bab al-Zawiya military checkpoint, fired rubber bullets, tear gas and sound bombs at Palestinian youths of whom dozens have suffered breathing problems after inhaling the tear gas. Four children have been injured this morning in Hebron after a group of Israeli soldiers assaulted them. The attack took place in the Old City of Hebron. 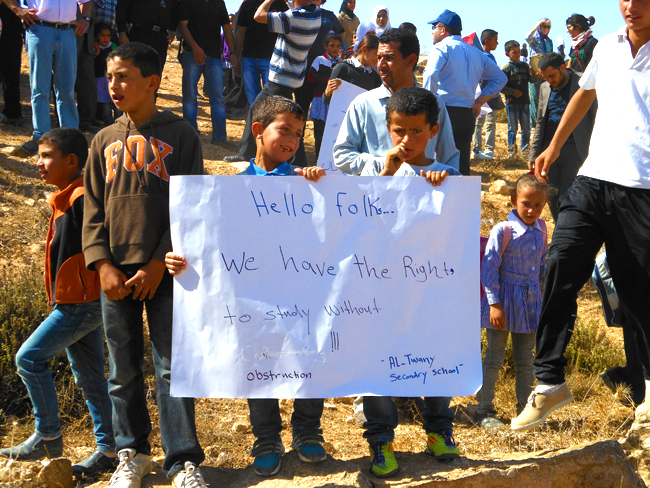 The children are Arif Jaber, 13 years old, Mohammed Arif Jaber, 11, Amir Arif Jaber, 10 and Basil Ayman Jaber, 11. 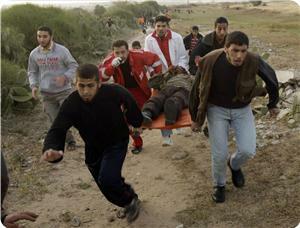 One of the parents of the children said that the Israeli soldiers used rifle butts and their boots to hit the children. The children had to be taken to the Hebron Governmental Hospital for treatment. Every Saturday in Hebron the Jewish settlers march through the Old City to get to Ibrahimi Mosque, where they pray in a part of the building that has been reconverted into a synagogue. This group of settlers march escorted by numerous soldiers in streets crowded by the Palestinians who live there, and it is not uncommon for the soldiers and the settlers to assault some of the Palestinians around them. 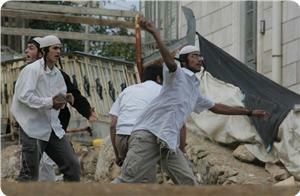 Furthermore, in Beit Hanina, next to Jerusalem, extremist settlers have attacked three young Palestinians. 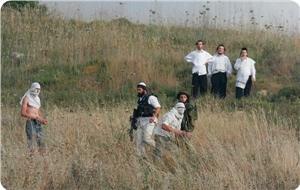 The attack took place next to the illegal settlement Pisgat Zeev. The three Jerusalemites had to be transported by ambulance to the Hadassah Ein Karem hospital for treatment. One of them has been seriously injured. Three Palestinian young men at dawn Saturday suffered wounds and bruises when a horde of Jewish settlers, from Pisgat Ze'ev settlement in the north of occupied Jerusalem, attacked them with knives and physically assaulted them. The victimized young men said in press remarks that they were attacked during their presence on Palestinian land near Pisgat Ze'ev settlement. Dozens of hate crimes have been committed over years by Jewish settlers from Pisgat Ze'ev without Israel taking any measure to curb their assaults on the Palestinians. In another incident, the Israeli police arrested on Friday three Palestinian citizens as they were walking to the Aqsa Mosque to perform prayers. Local sources told Quds Press that Israeli policemen detained Mohamed Abu Faraha, Mohamed Ziyad and Salah Ajlouni as they were en route to the Aqsa Mosque to perform prayers and took them to an interrogation center in the holy city. Earlier, the Israeli police decided on Thursday evening to prohibit the entry of seven Jerusalemite young men to the Aqsa Mosque after arresting them at dawn on the same day. The Israeli police handed the young men written verdicts ordering them to stay away from the Aqsa Mosque for 17 days. 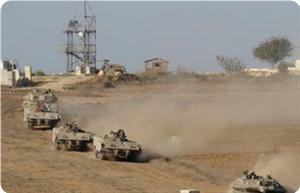 Israeli occupation forces Saturday morning fired towards farmers east of Khan Younis, southern Gaza Strip. Al Ray correspondent said Israeli soldiers stationed near the Abu Rida gate east of the Khuza'a town opened fire on farmers working on their land, reporting no casualties. Yesterday, a young man was wounded in a similar fire attack near the Farrahin district in the east of Khan Yunis. Farmers are subject to almost daily shootings by Israeli forces and gun machines stationed along the eastern border of the coastal strip, as well as incursions into private Palestinian land to carry out leveling works. 'Israel' imposes security buffer zone 300 to 500 meters deep into the Palestinian territory, effectively turning large agricultural areas into no-go zones. According to The United Nations Office for the Coordination of Humanitarian Affairs (UNOCHA), 17 percent of Gaza's total land area and 35 percent of its agricultural land were within the buffer zone as of 2010, directly affecting the lives and livelihoods of more than 100,000 Gazans. T-shirts reading "Let Every Arab Mother Know That Her Son's Fate Is In My Hands!" 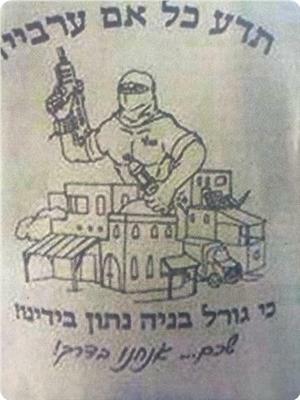 were printed on shirts for Israeli soldiers, Yediot Ahronot Hebrew newspaper revealed on Friday. An Israeli officer and two soldiers were dismissed after wearing these T-shirts, the paper claimed, pointing out that Israeli troops raided the place where the T-shirts were printed to confiscate them. 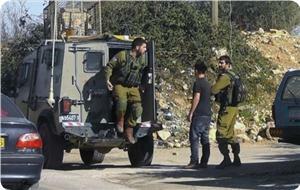 The newspaper added that the soldiers, who were wearing these T-shirts, were planning to go to Nablus. The design depicts a soldier holding a gun next to an Arab town, and reads: "Let every Arab mother know that her son's fate is in my hands!" Meanwhile, Israeli Occupation Authorities (IOA) have prevented on Friday Palestinians from 1948-occupied territories from having access to Nablus. Eyewitnesses told the Palestinian Information Center (PIC) that occupation forces erected a checkpoint at the western entrance to the city and prevented the entry of all vehicles with yellow plates. The IOA banned Arab citizens from Palestinian territories occupied in 1948 from entering Nablus without providing any justification, eyewitnesses said. Since the second Intifada (uprising), Palestinians from occupied territories in 1948 were prevented over the week except Saturday from having access to Nablus, however they have been recently allowed in. Analysts opined that the Israeli decision was meant to pressure the Palestinian negotiation team to extend peace talks with its Israeli counterpart. Israeli Occupation Forces (IOF) have kidnapped on Friday evening a Palestinian young man from Aida refugee camp north of Bethlehem, south of the occupied West Bank, after being shot and seriously injured. Eyewitnesses told the Palestinian Information Center (PIC) that Israeli soldiers opened fire at the 20-year-old Hamza Mohammed Battah at close range. He was seriously injured after being shot in his head and foot. Israeli forces prevented the access of ambulance crews to transfer the injured young man to hospital for treatment, the sources added, pointing out that IOF brutally attacked MP Mahmoud al-Khatib's wife before kidnapping and transferring the young man to an unknown destination. The Israeli occupation forces have stormed Friday the Aida refugee camp amid an intensive fire of tear gas bombs, which led to the outbreak of violent clashes between Palestinian youths and Israeli forces. IOF shots and then arrests a young man in Aida camp. 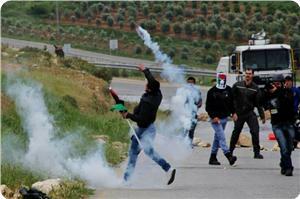 A soldier gets injured near Ramallah. Several refugees from Aida Camp, located in the north of Bethlehem, suffered from suffocation yesterday evening due to the tear gas shot by the Israeli army. Clashes took places in the camp during all afternoon and evening, next to the part of the wall where a hole was made a couple of weeks ago. 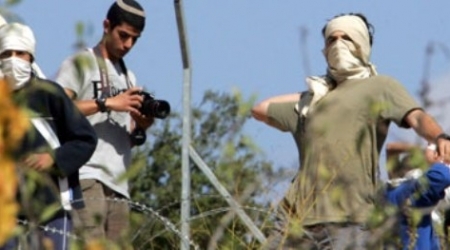 The PNN reporter in Aida informed that two boys were shot by the occupation forces during the confrontations, and one of them was arrested immediately afterwards by the Israeli soldiers. He was put in one of the military jeeps and was taken to an unknown location. The other boy was transferred to a hospital. Aida Camp suffers is attacked by the Israeli Occupation Forces on a regular basis, and during the clashes usually most of the houses nearby end up immersed in tear gas, making the residents to suffer from suffocation. On the other hand, according to the Israeli newspaper ‘Yedioth Ahronoth’, yesterday evening an Israeli soldier was wounded during clashes between Palestinian youth and Israeli occupation forces in a town next to Ramallah. 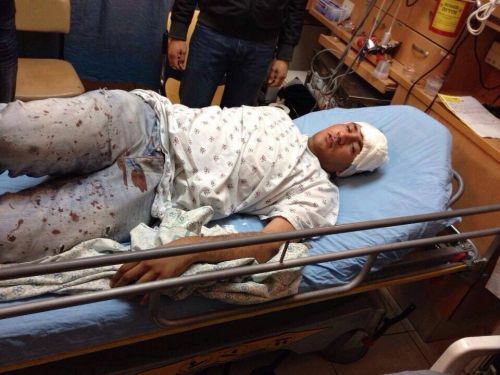 According to the same sources, the injured soldier was transferred to a hospital in Jerusalem for treatment. Two Palestinian citizens were shot and wounded near Jalama roadblock, north of Jenin, on Friday night at the hands of Israeli occupation forces (IOF). 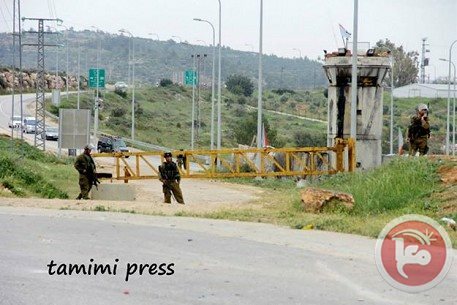 Local sources said that IOF soldiers manning the barrier fired at Mohammed Jalamna and Abdullah Abu Ghali as they approached the checkpoint. They said that the two young men did not pose any threat to the soldiers, adding that they were hospitalized in stable condition. The sources said that tension was heightening in the vicinity of the roadblock for the past three days. Meanwhile, IOF bulldozers continued on Friday to level agricultural land near the roadblock, locals told the PIC reporter, adding that work has been in the site for the past few days to expand the roadblock at the expense of nearby Palestinian farmland. In another development, the Israeli occupation authorities announced on Friday that the roadblock would be closed for four days in April because of Jewish holidays. Wafa news agency quoted a Palestinian security source as saying that Jalama roadblock would be closed on 14, 15 April and on 20, 21 of the same month. A Palestinian young man was shot and wounded in southern Gaza on Friday night at the hands of Israeli occupation forces (IOF). Medical sources told the PIC reporter that the 19-year-old youth was hit with a bullet in his knee to the east of Khan Younis city. Nine Palestinians including paramedics were treated for gas inhalation to the north of the Gaza Strip also at the hands of IOF soldiers earlier Friday. Local sources said that dozens of Palestinians marched after the Friday noon prayers toward the border fence to the east of Jabaliya in northern Gaza Strip to protest the buffer zone imposed by the IOF along the Gaza borders. They told Quds Press that IOF soldiers opened fire in the air and fired teargas canisters to disperse them, adding that five paramedics and three citizens were treated for breathing difficulty while a journalist was hit with a teargas canister in his foot.